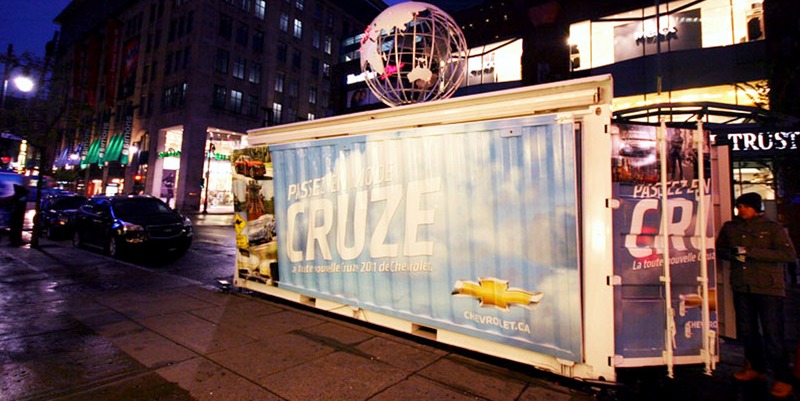 Chevrolet worked with Steel Space Concepts to create a unique mobile showroom for the unveiling of their Chevrolet Cruze model in downtown Montreal. 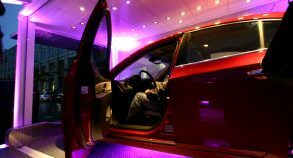 The company wanted to focus on the clients’ shopping experience by letting them try, feel and discover the new Cruze for themselves. 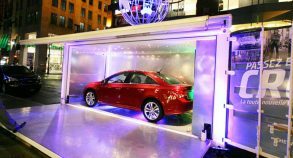 Steel Space Concepts built a fully branded turnkey converted container solution designed for the brand’s specific target market. 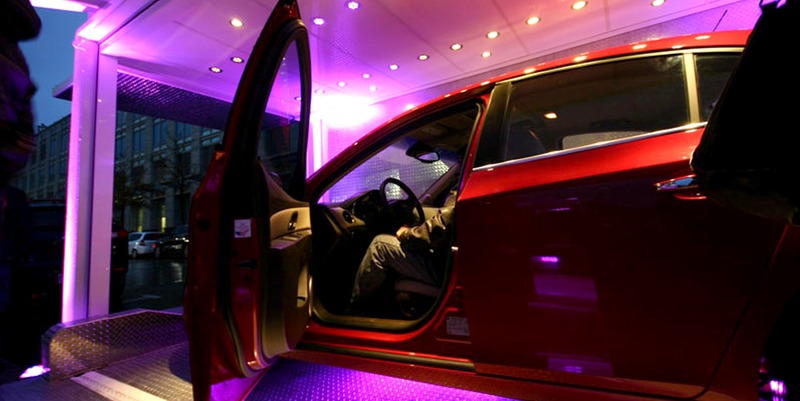 The unit was equipped with a TV screen, sound system and an incredible inside/out lighting system for a unique customer experience. 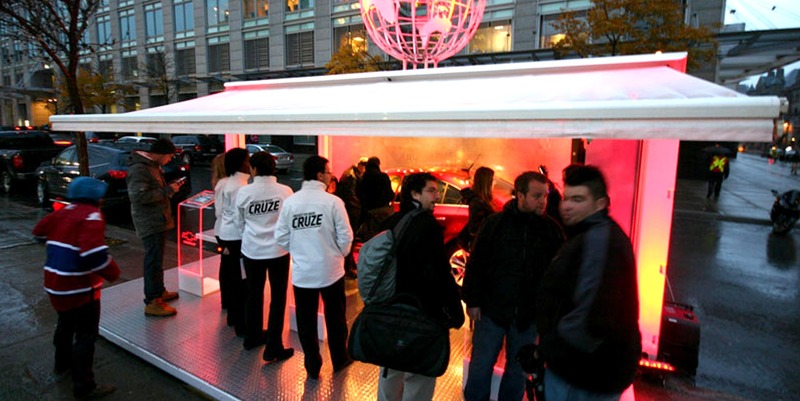 The mobile showroom enabled clients to see the outside and inside of the cars and discuss the model’s specs and equipment with a representative. 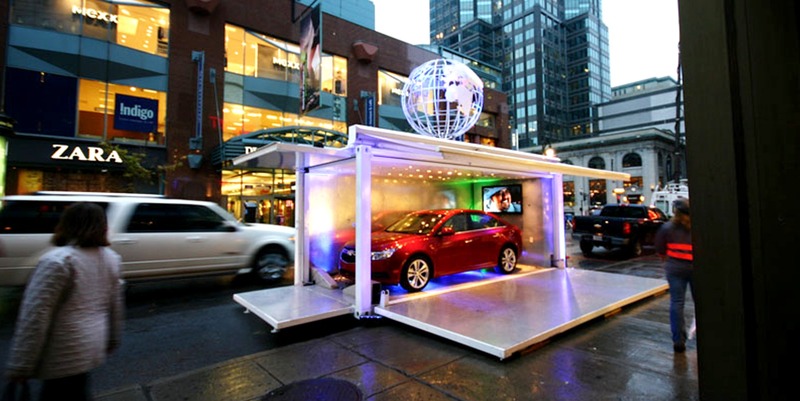 A few iPad stands were used to get visitors to register for a contest and get a chance to win an all-inclusive vacation. 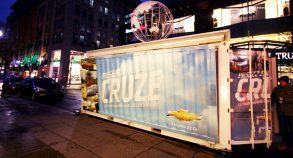 Converted shipping containers constitute an innovative sales channel designed to engage consumers and offer exclusive interactions with the brand and its representatives. 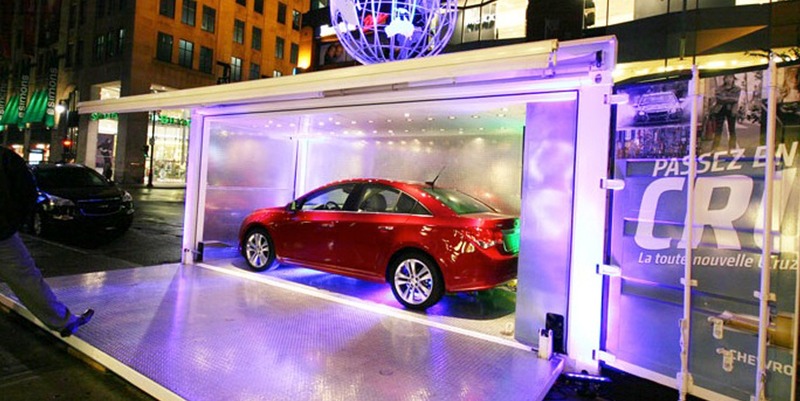 Containers also provide brands flexible structural configurations, such as ramps to facilitate entry of the car as well as a hook system and a safe hydraulic loading/unloading and self-leveling system for safe transportation of the vehicle inside the container. 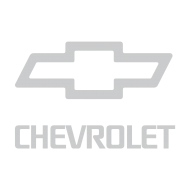 Automobiles are a part of customers’ daily journey through life and showcasing the Chevrolet Cruze in an original setting helped clients connect with the brand.